A few of you would have already seen this (perks of being part of the newsletter tribe) but I am yet to birth it into the online space here. In this ebook I've covered everything you need to easily and effortlessly have a great festive season, stay healthy and happy, look after your sanity and your gut... all in a delightful instant download ebook. // Gut Goodies ~ coz we all eat a few delicious morsels that our taste buds love that our tummies might not... this is where my tricks come outta the bag! A simple and enjoyable read, one to boil the kettle for a put your feet up reading one afternoon. 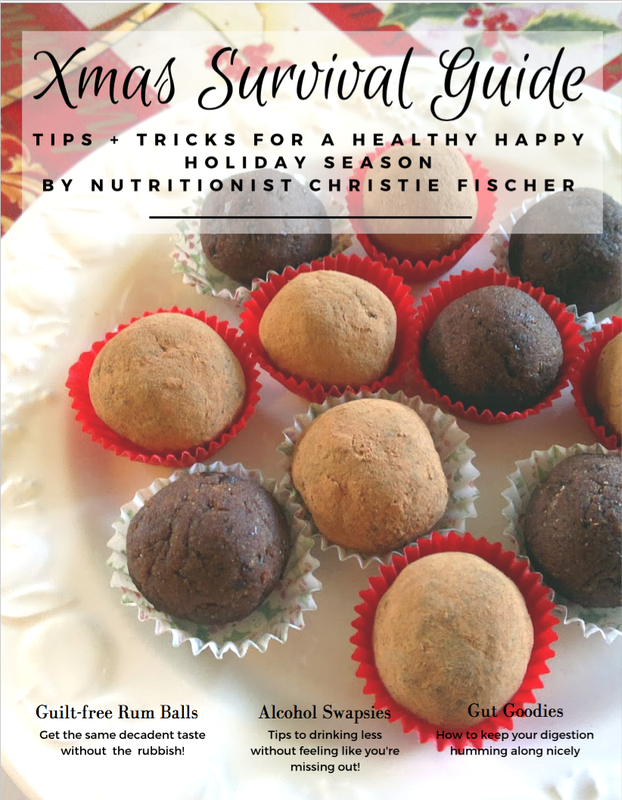 Breeze through the holiday season filled with health, happiness and a batch of guilt free rum balls! >> Click here to nab your copy for only $11 today!